Alexandra Chauran as an interfaith chaplain, has served at two hospitals as the first Pagan to go through Clinical Pastoral Education at the University of Washington. Having gone back to school after battling incurable illness herself, she now volunteers in nursing homes visiting the elderly and has written five published books. 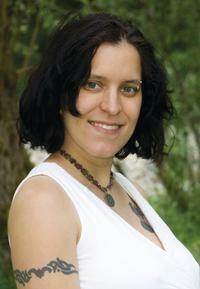 Alexandra Chauran is a licensed teacher, certified counselor and fortune teller living in Issaquah, Washington state. Visit Alexandra Chauran for more information. This entry was posted in celebrity, honoree, Recognition, women and tagged Alexandra Chauran, author, Counselor, Earthshod, education, licensed, Life Educator, nursing homes, opportunities, overcome obstacles, palm reader. fortune teller, recognition, speaker, Therapist, Today's Honoree, visit elderly, writer. Bookmark the permalink.